Ok, it was a long flight, but this photographer took a picture approximately every 2 miles along the 5,200 mile flight and then edited them down to a 2 minute time lapse movie. 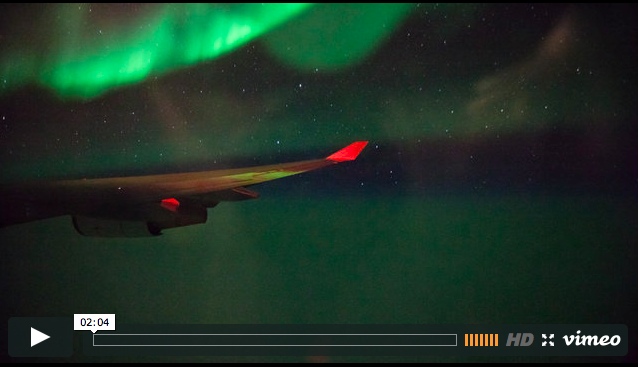 Flying through the “Northern Lights” created amazing images. Check it out here.